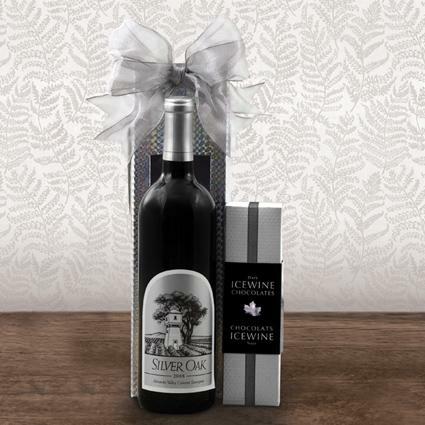 Silver Oak Cellars Alexander Valley Cabernet Sauvignon, an outstanding California red wine, together with chocolate truffles, is a gem! Silver Oak Cellars Alexander Valley Cabernet Sauvignon from California is a dark, rich full-bodied wine. It has a garnet color and a nose of ripe boysenberries, cherry liqueur, dark chocolate, sandalwood and a hint of roasting meat.